Added STCoP 2.9 weapons: ACE21, CZ75a, FNC, Sig 552, SKS, TAR-21 & Vityaz. Added STCoP 2.9 weapon variants for Colt 1911. Added weapons: AEK-973, AK-12 (7.62x39), AUG A3, Bizon-2-01, Scar-20 & Sig 553. Added weapons variants for SKS, TAR-21 and AK-74M. Adapted generic explosions for layered sound mods. Disabled "use_aim_bullet" values in all weapons. Fixed 7.62x54 ammo types using swapped icons. Fixed AI accuracy and damage problems (hopefully). Fixed all problems with alpha maps in icon sheets. Fixed AK-74 (Upgrade 2) out-of-sync reload sound. Fixed miniature G3 and Scar-H world models. Fixed Nimble crashing when not in use as a trader. Fixed PKM ammunition using incorrect tracer colour. Fixed po4x34 scopes using wrong crosshair and backwards icon. Fixed reticles on EOT sights not self-illuminating. Fixed reticles on Kobra sights not self-illuminating. Fixed SKS ejecting two shells at once (one was a particle). Galil rifle now supports a po4x34 scope. Moved all addon-specific icons to opposite end of the sheet. Nerfed buckshot and removed it's armour-piercing capabilities. Reduced zoom factor on L85 rifle greatly, now comparable to G36. Re-enabled the Colt Kimber and fixed its reload sounds and holster anim. Removed dependency on defines.ltx config file. Removed Walther pistol from the rifles spawn list. Renamed addon to "STCoC Weapon Pack", forking from the CoP mod. Renamed many weapon sections to bring them in-line with AO3. Scopes can now be detached from the SVD, SVU and Vintorez. Updated stash blacklist to include patches and scopes. Fixed alpha errors with icon sheets. Fixed crashes related to knives. Homemade gauss ammo now obtainable via stashes. Added 4-to-1 tracer system (Requires 1.4.15). Added different names to weapon variants. Added missing fire_modes key/value pairs. Added po4x34 scope and wpn_groza_po4x34 weapon. Added six new knives to enhance melee gameplay. Added some missing textures and tidied up some others. Converted Nimble into a rare weapons and outfits trader. Corrected Groza description (because it now has a scope). Fixed crashes when upgrading AEK-971 and Lucky Gun. Fixed crashes with ammo_12.7x55_fmj and ammo_50bmg. Fixed crouch movement animations with MP5SD. Fixed wpn_usp_nimble using 9x19 ammo. Reduced fire_dispersion_base weapon values by 25%. Restored the Barrett M95 and accompanying 50 BMG ammo. Validated and fixed hundreds of bad .thm files. Adapted grenade and firearm sounds for layered sound addons. Fixed crash when equipping wpn_vintorez_nimble. Fixed crash when quicksaving or quickloading caused by bad particles.xr. Fixed description of wpn_groza saying it could use a scope. Fixed detach scope option showing when no scope is attached. Fixed engine array overflow cause by ammo_mag_size in w_knife.ltx. Fixed wpn_aps and wpn_oc33 empty reload animation and sound sync. Fixed wpn_sv98 ejecting shells before the bolt was pulled. Added missing text for EKP scope. Added missing translations for wpn_wa2000. Fixed EKP alignment with wpn_ak74. Fixed AC10632 alignment with wpn_hk416. Fixed wpn_glock using stereo audio shoot sounds. Fixed helicopter gunfire not displaying tracers. All previous bugfixes and changes from pre-1.4 releases. Fixed crashes caused by bad meshes (.ogf files). Fixed MP5SD reload animation causing gun to go off-screen. Fixed pistol reload sounds being incorrect when magazine not empty. Fixed SIG220 shooting and Vintorez reload sounds. Fixed typos and other mistakes with text replacements. Real life east-west tracer colours. Implemented new engine features where appropriate. This is an officially supported port of STCoP Weapon Pack 2.8.0.7 built from the ground up and designed specifically for Call of Chernobyl 1.4.16+ with many major changes and fixes. Hopefully there isn't, but there may be bugs. Report them in the comments and I will patch them when I am able to. This will likely be this year's last update for this addon whilst I work on something else addon-related. Regular maintenance and patches will continue to be released as normal afterwards. Looks like you are not alone. I've got almost the same error like you do. got a fix for this? Hey do you know when you can release v6? Hopefully soon - I need this! Will this mod work with Arsenal Overhaul? Is trade_generic.ltx supposed to be gone? Hmm, doesn't look like it was updated for the last patch either when the M95, 50BMG and new knives were added. It'll have to wait until the next one, generating the trade files every time they need changing is a really chaotic process at the moment. It just means a few addons, ammos and weapons will use 1x pricing when trading with regular stalkers - nothing seriously game breaking. Also, "generating" the trade files? Is there a tool that does that? I wrote a tool to go through the trade files and edit everything line-by-line using a list of generic items, ammos, faction weapons etc. but it's pretty buggy and I usually end up having to manually fix the result. Hopefully I can write some new stuff and release them in the files section like I promised a few months ago. had the same problem back in (v.4). the magazine on the abakan disappears after the reload animation. i guess i can ignore this for a while,but fix pls? >The most conspicuous identifying feature of the AN-94 is its magazine which is canted several degrees to the right of center (when viewed from a firing position). This design feature is necessary to accommodate the unique ammunition feed mechanism. Never knew the AN-94 operated like this. Now i know more operations than ever before! As someone who appreciates complexity and ingenuity in firearms, I can proudly say that the Abakan is my spirit animal. Could we update it from v4 without breaking saves game ? Yeah you should be good. Sometimes i get CTD caused by mising PU scope mesh when opening stashes. I don't know if it STCoP issue alone or because of OA or SDH i'm using with, but i found a solution by simply creating a copy of wpn_scope.ogf and renaming it to wpn_scope_pu.ogf which can be found at gamedata\meshes\dynamics\weapons\wpn_upgrade directory. Is there any way to check the source of problem without uninstaling mods mentioned above? Without it the AO3 pu scope will spawn in stashes, which will cause your crash. It's been fixed for a long time now. SDH is the only mod that replaces STCoP's coc_treasure_manager.ltx with its own. Now I wonder if SDH features still be present when i replace it back with original file. As long as you add "pu" without the quotation marks to the bottom of the file it will block the item from spawning in stashes. You'll need to start a new game though, as it's likely to have already been placed in at least one of the hundreds of possible locations. Metod i mentioned earlier doesn't require new game, so i stick to it. Could you contact developer of SDH and tell him about this issue? Cheers. Has the damage rating been increased/tweaked since v3 or is it still the same? but i literally mean that it disappears. Hey,im new here,can i use STCOP,OA and OWR3 all at the same time? No, young Jedi, you don't have 3 hands. It's a bit disappointing not being able to use the G36 grenade launcher on the G36K, especially since it says so in the guns description. Also it seems like the UMP45 is currently using the 5.56mm silencer erroneously. 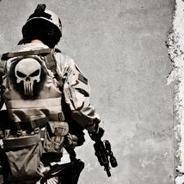 The M4 and M4A1 are using each others graphics, they should be swapped. ... And I've noticed that a LOT of guns are using the SG-550 upgrade scheme. I've been enjoying this addon but every time I see an already light gun with a polymer stock lose another 1.4 kg's because it got the same upgrade, I feel like the weapon balance is falling apart. The UMP-45 now weighs 1.1 kg's unloaded. In addition, the Groza can not be applied suppressor. idk if its just me, but i cant fast travel to truck cemetary. im on win 10 so i dont get any crash pop ups or anything, it just shuts game down when ever i try to go into truck cemetary. i tried latest patch and the version before the latest patch, i cant get into truck cemetary. STCoP latest version. Display npcs like clear sky latest. Lootmoney. This mod with latest patch. DRCOC questlines latest version, and more fast travel locations. idk if it is stcop or this mod but i crash whenever i try to access truck cemetary. ok yep, there is something with STCoP making truck cemetary inaccesible, i made 2 gamedata files with both addons seperately and ran outfit addon, i got to truck cemetary without using stcop. then i added stcop and then added outfit addon and compatibility patch, and now cant go into truck cemetary. the traders still cell outfit addon items and stcop weps but truck cemetary inaccesible for me. it crashes when it is about to say "Press any key to continue" on load screen, i see the picture of truck cemetary and all that, and on the pda i see the units in truck cemetary cause im using display all units as clear sky addon. OP! found it. the error log. i got 12 gb of memory/RAM. Arguments : Can't find model file 'dynamics\weapons\wpn_upgrade\wpn_scope_pu.ogf'. I just copied another file in that folder and renamed it to that file name. Fixed the crashing for me. Only temporary though until it gets fixed by the author but I ain't fussed it's just one scope. Did STCOP add new armor? Обнаружена ошибка связанная с апгрейдом стволов. При апгрейде АЕК,М4А1, если уменьшать отдачу то ствол начинает идти вниз. An error was detected associated with the upgrade weapon. When upgrading AEK, M4A1, recoil the barrel starts to go down. Hey. The got a bug since im using AO and Weapon pack often get the bug with crash Walter P99 holster animation not found or able to load ... i try to find the reason but i could use some help somebody has an idea ?? i will post this on the other Addon page also ! BTW Nice Mod! / ADDON ! I'm assuming this is compatible with latest patch for CoC 1.4.18? meshes/dynamic/weapons/wpn_mp443 folder is empty and I have tried downloading the mod again to make sure it was not a bad download on my part, but it happened three times, every time I've downloaded it anew and dragged and dropped, yet it keeps saying that folder is empty and cannot be located. So is the VSK-94 suppressed or not? The description says it is, but it isn't on the model, nor does it seem to SOUND suppressed. At the same time, however, there isn't one to attach onto the gun, either. 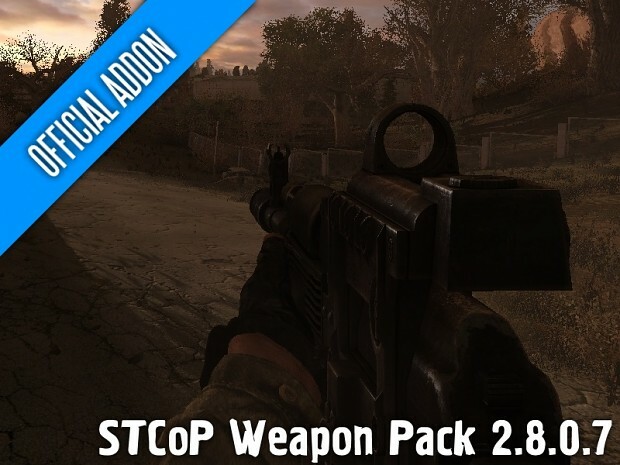 STCoP Weapon Pack 2.8.0.7 (v.5) has not been tagged yet.